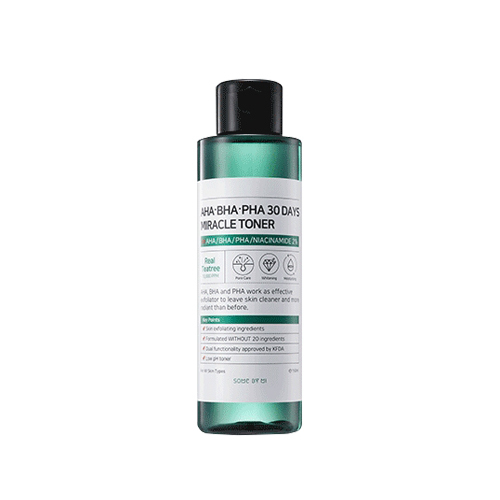 A toner is excellent at soothing skin and removing impurities. Contains AHA, BHA, PHA that remove dead skin cells, sebum while protecting it from loss of moisture. The product is low stimuli acid thanks to 10,000ppm Tea Tree extract which balances and controls sebum. Take a proper amount and spread it over face then pat lightly to fully absorb.